Welcome to the 20th in our series, Liberal Hero of the Week, chosen by Stephen Tall, Co-Editor of Liberal Democrat Voice, and Research Associate at CentreForum. ’Liberal Heroes’ showcases those who promote the four liberal tenets identified in The Orange Book — economic, personal, political and social liberalism — highlighting individuals regardless of party affiliation and from beyond Westminster. If they stick up for liberalism then they’re in contention. Reason: For his no-nonsense defence of a fair tax regime for all. 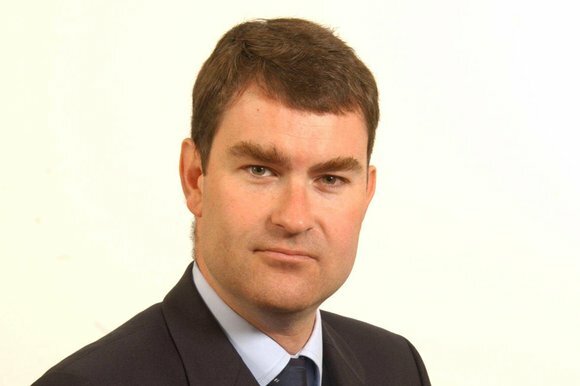 David Gauke is an unlikely hero for me to choose (and not just because he’s a Tory). He was the principal defender of the Government’s policy to cap tax-relief on charitable donations — it was a policy I profoundly disagreed with on the simple principle that in a liberal ‘Big Society’ individuals shouldn’t pay tax on money they voluntarily forego for charitable causes. But credit where it’s due, Mr Gauke articulated a straightforward, rational, coherent defence of the Coalition line… right up to and indeed beyond the moment the Coalition U-turned and abandoned the policy. He almost earned the ‘Liberal Hero’ nod from me in the summer, when his entirely reasonable point that knowingly paying cash to get a tax-dodging discount is wrong was crudely distorted both by the media’s insatiable desire to stir-up controversy and opposition politicians looking to score easy points. However, a certain guy called Danny Boyle rather overshadowed that storm in a teacup with his jaw-droppingly optimistic and humane Olympics opening ceremony. Interestingly, Mr Gauke also hints at going further than his party leader David Cameron has yet dared, by suggesting that the Tory pledge to safeguard universal benefits even for the wealthiest pensioners may be reviewed in the future: “I think we’ll cross that bridge if and when we come to it,” he says cautiously. … artificial structures that aggressively exploit reliefs contrary to parliament’s intended purpose through contrived, artificial schemes fall very clearly into the definition of avoidance. … These schemes damage our ability to fund public services and provide support to those who need it. They harm businesses by distorting competition. They damage public confidence. And they undermine the actions of the vast majority of taxpayers, who pay more in tax as a consequence of others enjoying a free ride. Easy words, you may say. Yet the evidence seems to be that the Government’s and HMRC’s concerted approach is beginning to work. As my LibDemVoice co-editor Mark Pack pointed out this summer there has been a steady stream of announcements indicating that the wealthy are having to come to terms with paying their dues to society just as the rest of us have to. So for his no-nonsense attitude and action in delivering a fairer tax regime, David Gauke is my choice of Liberal Hero this week.